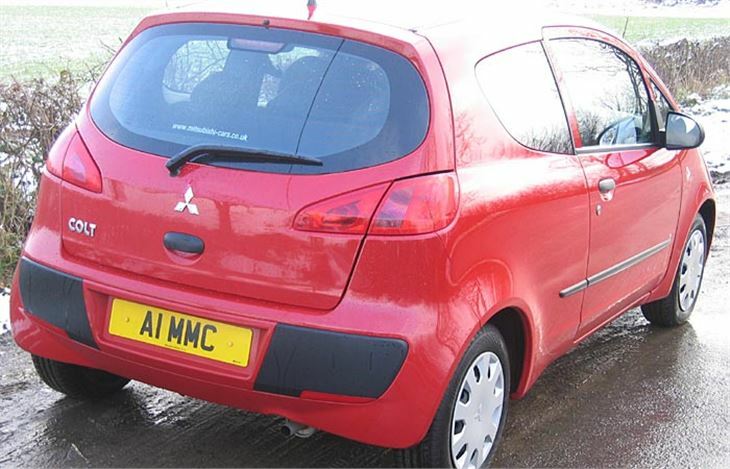 Base models are often the best test, so we went straight for the £7,499 3-door Mitsubishi Colt Red. 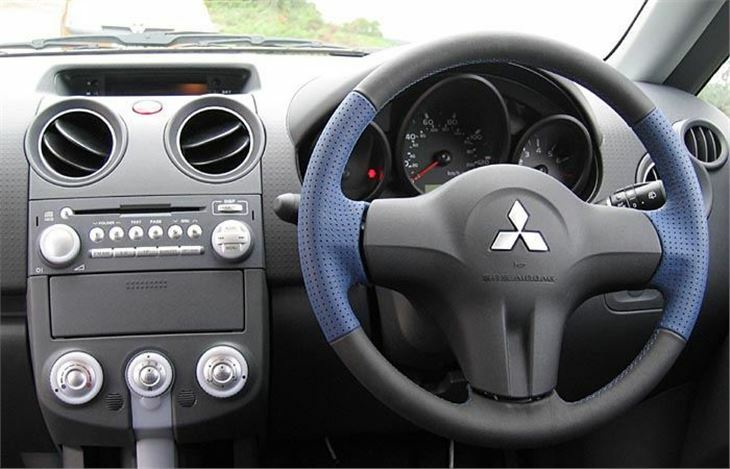 The dashboard is the same as the 5-door. The front end is the same. But the 3” shorter 3-door is really a different car. The plus points and minus points depend on where you’re coming from. 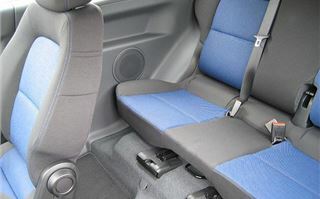 It’s well equipped with ABS + EBD, twin airbags with a key-switch to switch the passenger’s off, Radio C/D player, trip computer, Trafficmaster Smartnav, rev counter, lockable glove compartment, lots of useful cubby holes, grab handles front and back, passenger and driver vanity mirrors, sliding and double-folding rear seat, very comfortable front seats, good quality, solid feeling plastics, height-adjustable steering wheel, three 3-point rear seatbelts, electric front windows and a really neat two-sided interior light: just press the lens your side and the light goes on. All good stuff. There is excellent headroom and huge seat travel. I drove with a guy who is 6’ 6” and even he did not need to push the seat all the way back. 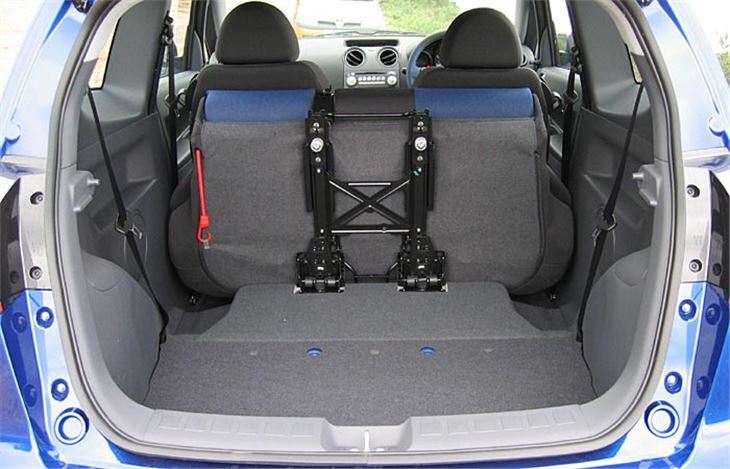 The doors give the best access of any car anywhere, beating even the 3-door Toyota Yaris. 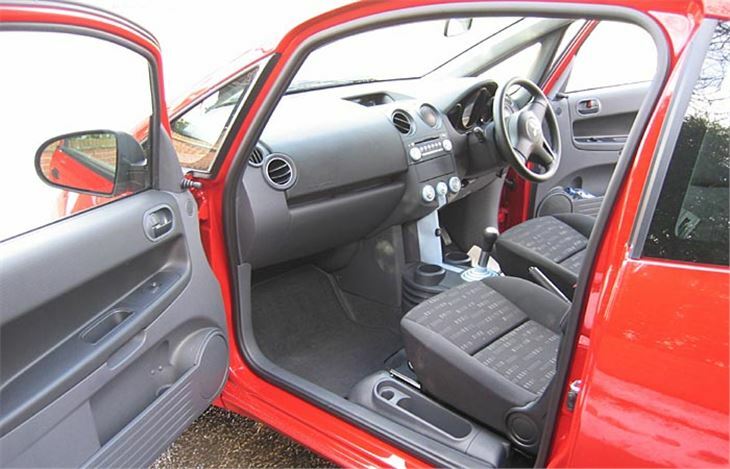 They open so wide and so far into the footwell that even very elderly people can easily enter the car in the recommended ‘bum first manner’ then swing their legs inside. 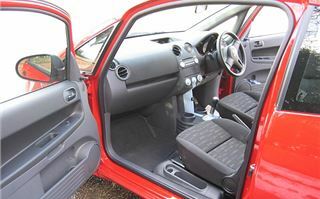 You lose out a bit at the back because even though the rear seats tumble leaving a completely flat floor, the 3-door has a slightly higher hatchback sill than the 5-door, so there is no way you can simply wheel things in. 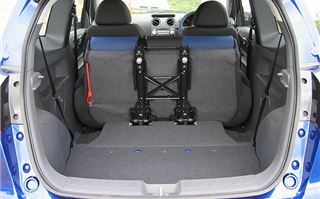 The advantage of that is improved body rigidity and better rear impact protection. And there is no doubt that with its lower centre of gravity the 3-door grips, handles and gives better road feel than the 5-door. No handling quirks like the one-off experience I had with the 5-door on the M3, not even in February blizzard conditions. But, of course, what it completely misses is the extremely useful wide back seat and excellent back seat access of the 5-door model. So, not the Colt for young mums, then. 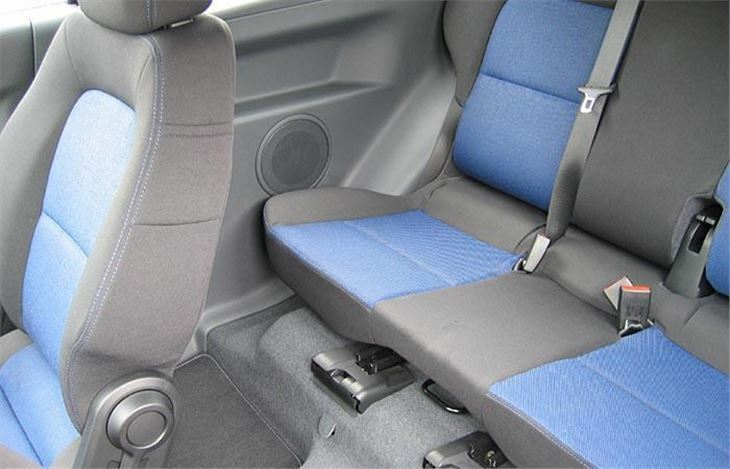 Or for people who regularly carry rear seat passengers. The 74bhp 3 cylinder 1.1 litre chain-cam engine is a game little thing with a nice sound at high revs. Yet, though it gives its best, you only have to drive the 1.5 litre 3-cylinder chain-cam diesel to realise its limitations. Where the 1.1 was running out of puff, the diesel simply romped along, in an even more lively manner than the Smart ForFour diesel tested last month. The downside, of course, is the price. 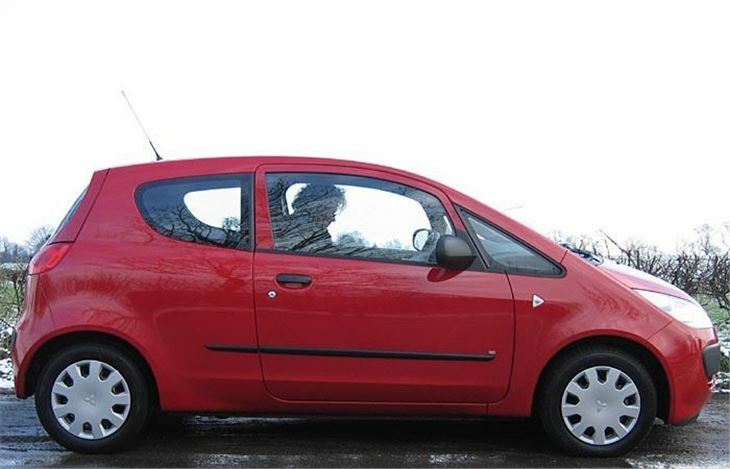 The cheapest petrol engined Colt 3-door is the £7,499 Colt Red. The cheapest diesel is the £10,249 Equippe. A £2,750 price difference. So too much for someone who simply wants a runabout. Where matters start getting a little bit confused is with the 1.3 four cylinder petrol. Colt thinks versions of this will be its best seller. But it’s a totally dull engine that makes a nice little car feel boring. Sure you can spec it up to a Mirage that makes it look like a CZT, and with sensible Group 5 insurance. But the fun factor of the lively 1.1 petrol and the gutsy 1.5 diesel simply isn’t there. 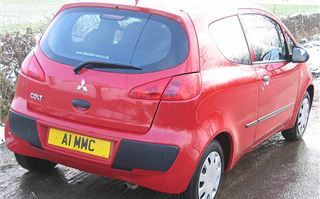 Far better to go for the Group 4 insurance 1.1 Mirage that also looks like the CZT for £500 less than the 1.3. Lastly, the flagship model: the 150PS 1.5 litre turbo CZT. At £13k, up against the likes of the Fiesta ST, Clio 182 Cup, 206 GTi and various SEAT Ibiza derivatives. It’s a hot little motor. Looks good. Goes well. Handles decently. Not too stiff. No discernable turbo lag (on the track, at least). And an unobtrusive stability system which can’t be switched off but allows you to feel like you’re really driving the car before it steps in and sorts out the mess you’ve got yourself into. As track driving instructor Nigel pointed out, that’s something affluent mums and dads are going to thank Mitsubishi for because they’ll be able to sleep a little better at night while their kids are out in their CZTs thinking they are far better drivers than they really are. 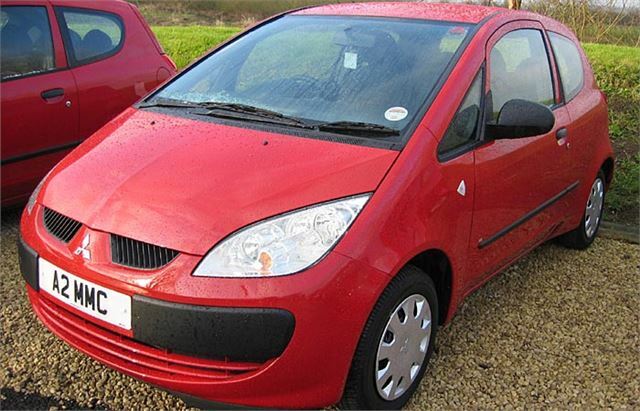 The value champ, though, is the £7,495 Colt Red. It’s no hot rod, but it’s characterful, practical, well equipped and fun. Nothing else does quite the same job for the money. And I don’t envisage Colt having to offer silly discounts to get them gone.